A visit to the busy former East German city of Leipzig in 1991. Stand in front of the Hauptbahnhof for a couple of hours and you'll see most of the fleet! 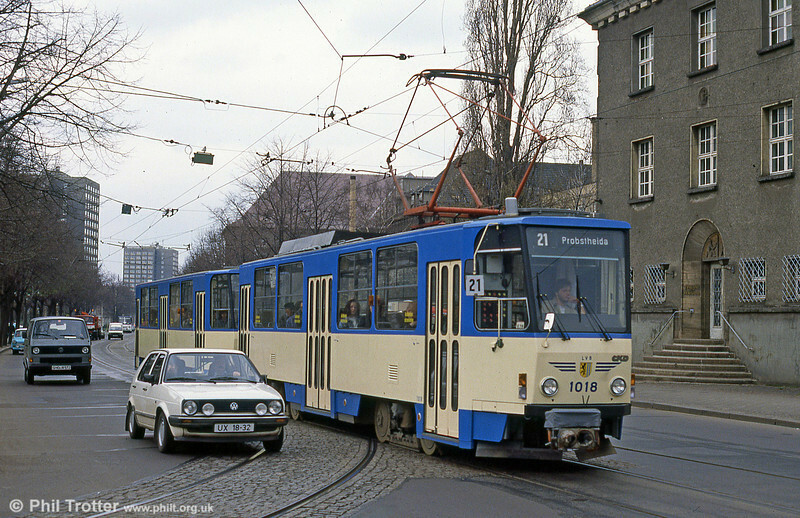 Leipzig Tatra T6A2 1018 at Messegelande on 5th April 1991.